7. 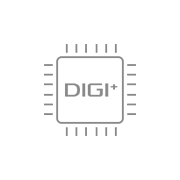 Due to different countries’ regulations, 802.11ad(WiGig) moving antenna is only bundled in certified countries. 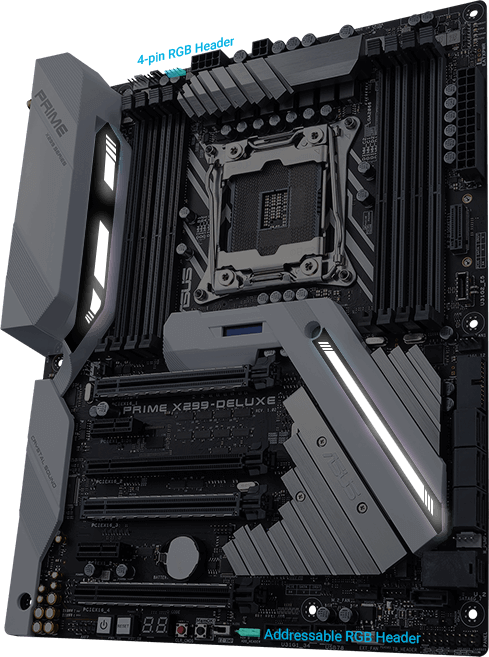 ASUS Prime X299-Deluxe is the ATX motherboard that’s been expertly engineered for professional content creators and power users who work hard by day and play harder by night. 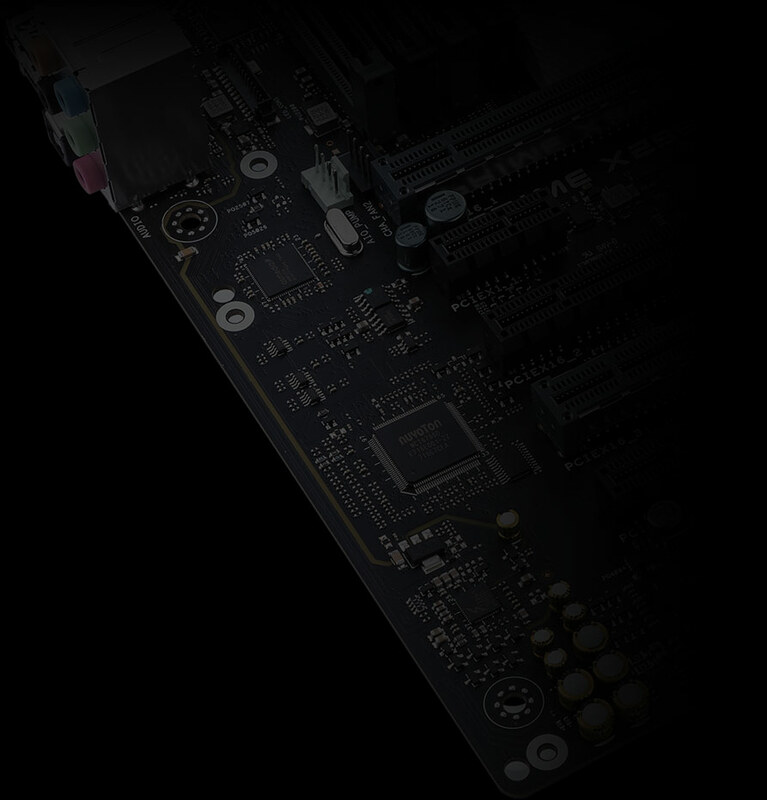 This powerful, innovative board puts a friendly face on advanced enthusiast controls, enabling you to maximize performance, cooling and personalization with ease. 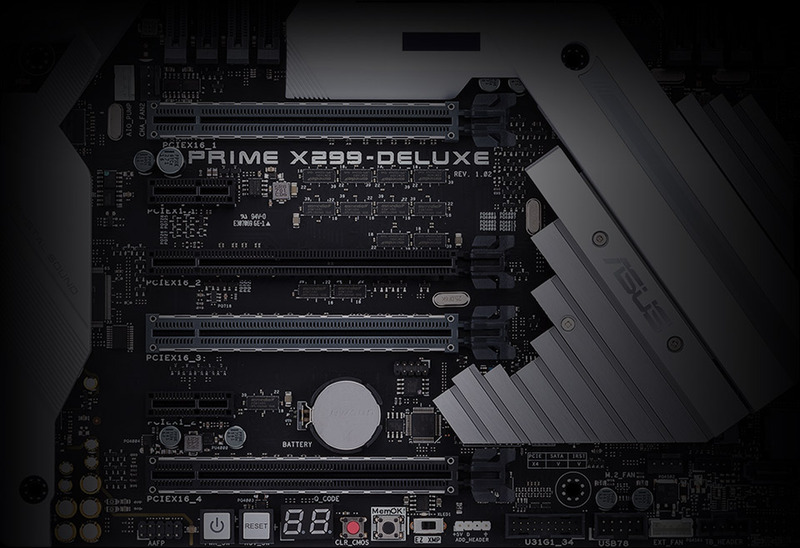 So, if you live to create, to explore, to enjoy and to push the boundaries, look no further than Prime X299-Deluxe. 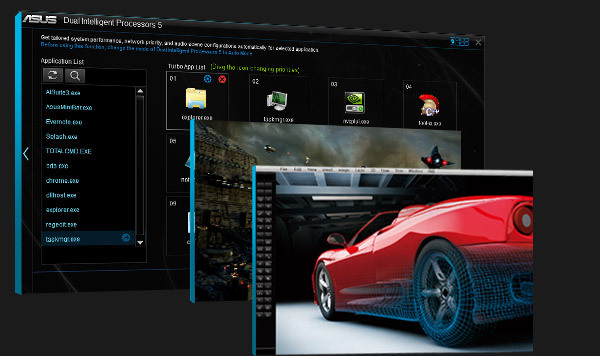 *Overclocked by using ‘specific core’ tuning. 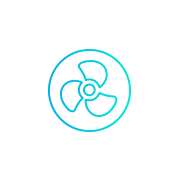 With Prime X299-Deluxe you have comprehensive control over fans, water pumps and even all-in-one (AIO) coolers, via either Fan Expert 4 or our award-winning UEFI. 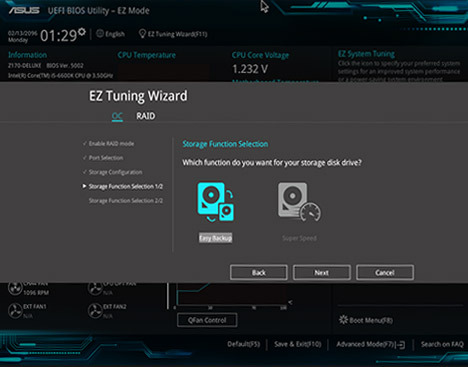 Whether you’re cooling with air or water, Auto-Tuning mode intelligently configures all parameters with a single click. 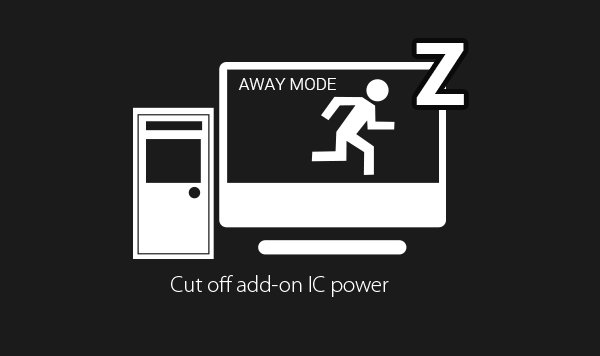 There’s also an Extreme Quiet mode, which reduces all fan speeds to below the default minimum — keeping your system whisper-quiet when performing light tasks. 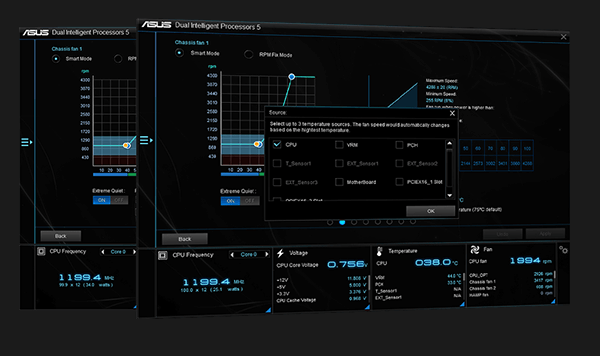 Intel’s latest processors feature per-core tuning, and the ASUS Turbo Core app makes use of this feature by enabling you to assign applications to specific processor cores, allowing you to prioritize compute power where it’s needed most. 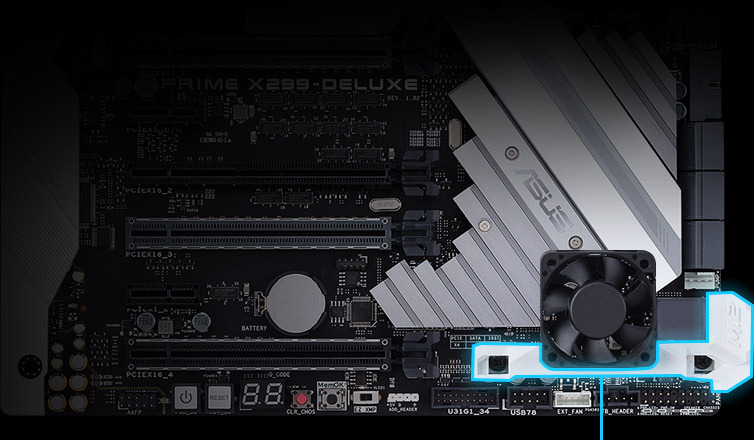 Unleash the Prime X299-Deluxe Virtual RAID on CPU (VROC) feature with the addition of an ASUS Hyper M.2 X16 Card*, which allows you to attach up to four PCIe® 3.0 x16 M.2 drives — for a total bandwidth of up to 128Gbps. 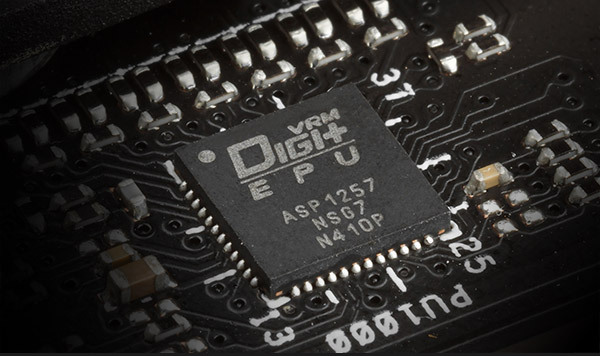 With VROC, you can utilize CPU PCIe lanes to configure a bootable RAID array, eliminating traditional DMI bottlenecks, so that storage transfers aren’t held back by other traffic. Intel Optane™ is a revolutionary non-volatile memory technology supported by Prime X299-Deluxe. 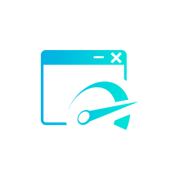 Intel Optane memory modules accelerate attached storage to reduce boot and load times, so everything feels faster and more responsive. 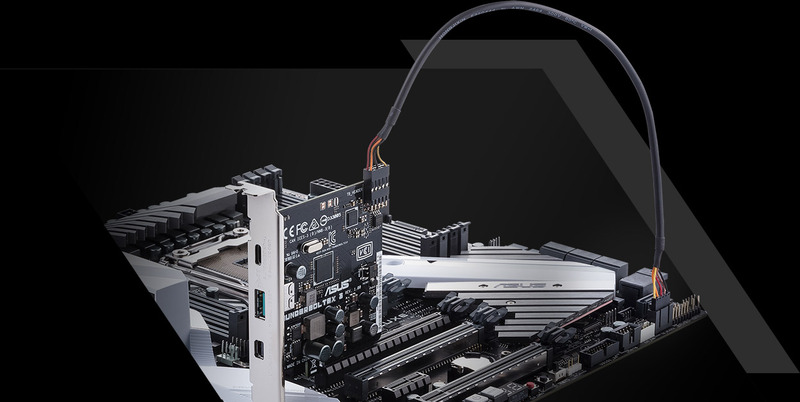 Prime X299-Deluxe’s front panel USB 3.1 connector is ready for next-gen PC cases and devices. 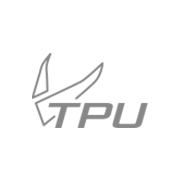 ASUS ThunderboltEX 3 is an Intel-certified Thunderbolt™ 3 add-on card included with the Prime X299-Deluxe to enable breathtaking bi-directional speeds of up to 40Gbps through a single cable — up to 4X faster than other PC data-transfer protocols. Beyond sheer bandwidth, Thunderbolt 3 supports daisy-chaining up to six devices; utilizes a Type-C reversible connector for compatibility with the latest USB 3.1 Gen 2 Type-C devices; and supports the USB Power Delivery specification for fast, high-power charging of up to 36W. * Availability of 802.11ad (WiGig) varies by region. Check with your local ASUS representative for more details. 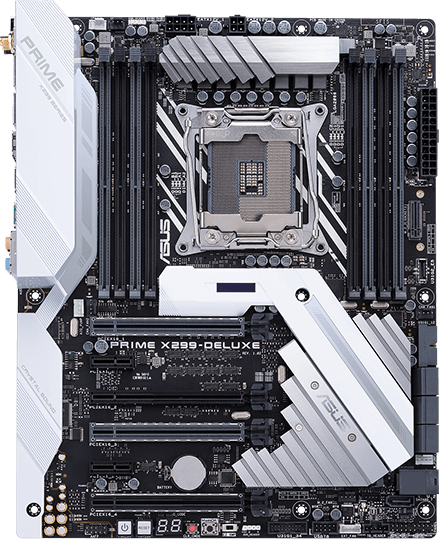 Prime X299-Deluxe features the latest Intel Ethernet. 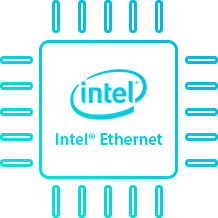 Intel’s LAN has the advantage of reducing CPU overhead and offering exceptionally high TCP and UDP throughput for faster, smoother data transfer. 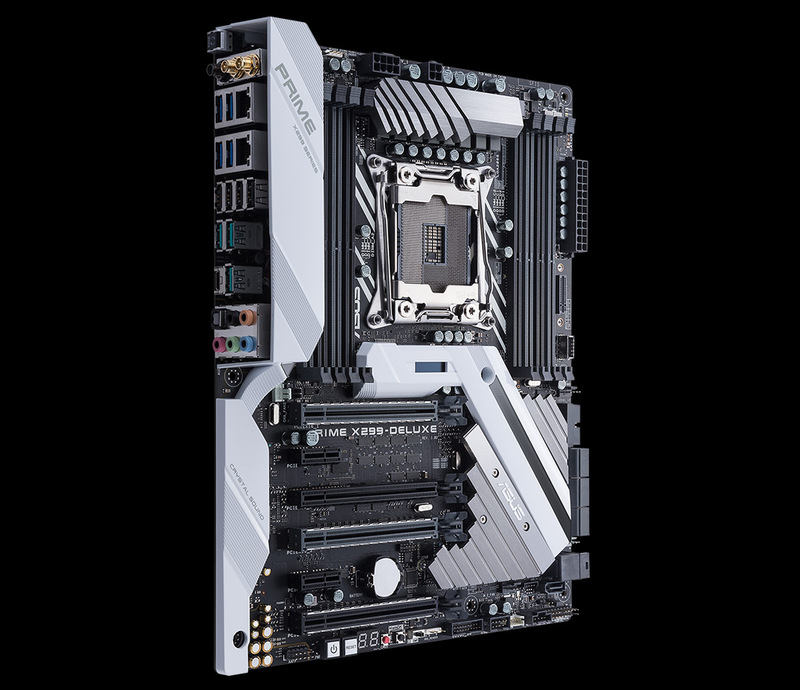 With support for both NVIDIA® SLI™ and AMD CrossFireX™ 2/3-WAY configurations, Prime X299-Deluxe motherboard enables multi-GPU setups so you can harness the full power of the latest graphics technologies to drive games at 4K and beyond. 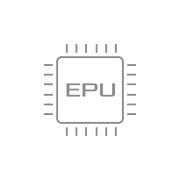 Prime X299-Deluxe utilizes a unique audio codec designed in close collaboration with Realtek — the Realtek S1220A. It also features an unprecedented 120dB signal-to-noise ratio for the stereo line-out and a 113dB SNR for the line-in, providing pristine audio quality. 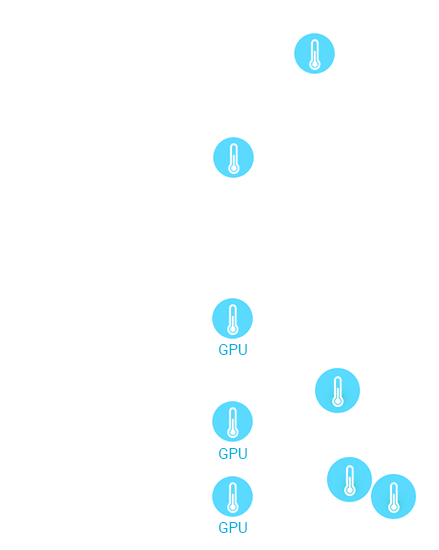 Additionally, a new impedance-sensing circuit automatically adjusts gain to ensure the optimal volume range for your headphones. 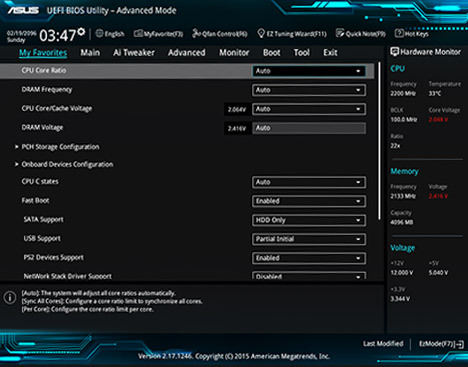 Prime X299-Deluxe includes LiveDash, a built-in OLED dashboard that displays custom information such as system temperatures, CPU frequency, fan speed and error messages — so everything you need to know is available at a glance. 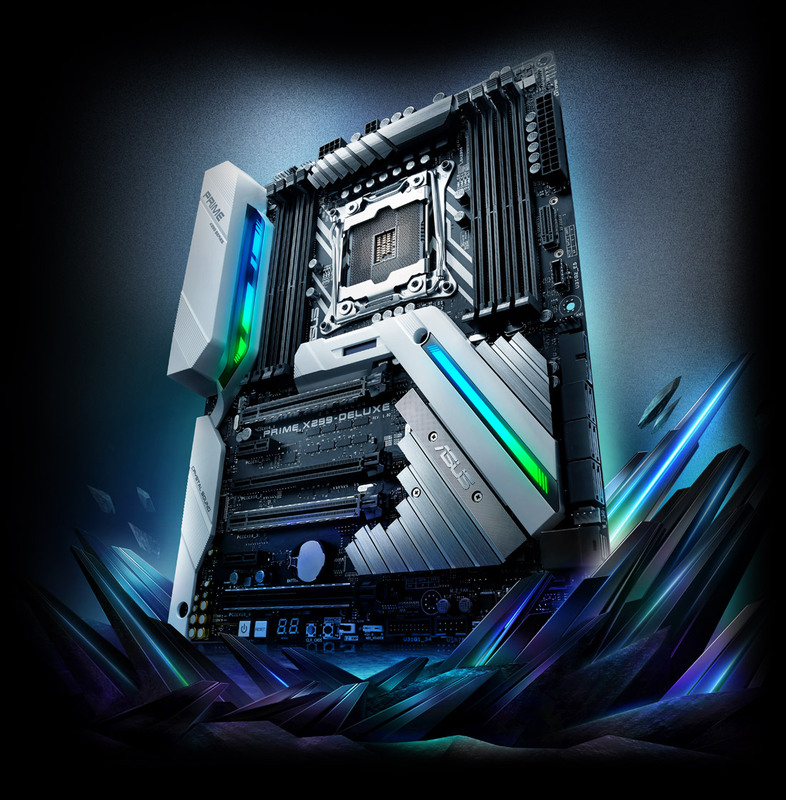 Prime X299-Deluxe now has a dedicated addressable RGB header, suitable for connecting to lighting strips, fans, and compatible PC cases. Our Aura software contains an array of effects for addressable gear, and the Aura SDK takes things to the next level, allowing developers to control each LED individually – unleashing infinite lighting possibilities. * The Aura RGB-strip header supports 5050 RGB LED strips with a max power rating of 2A (12V). For maximum brightness, strip length should not exceed 2m. 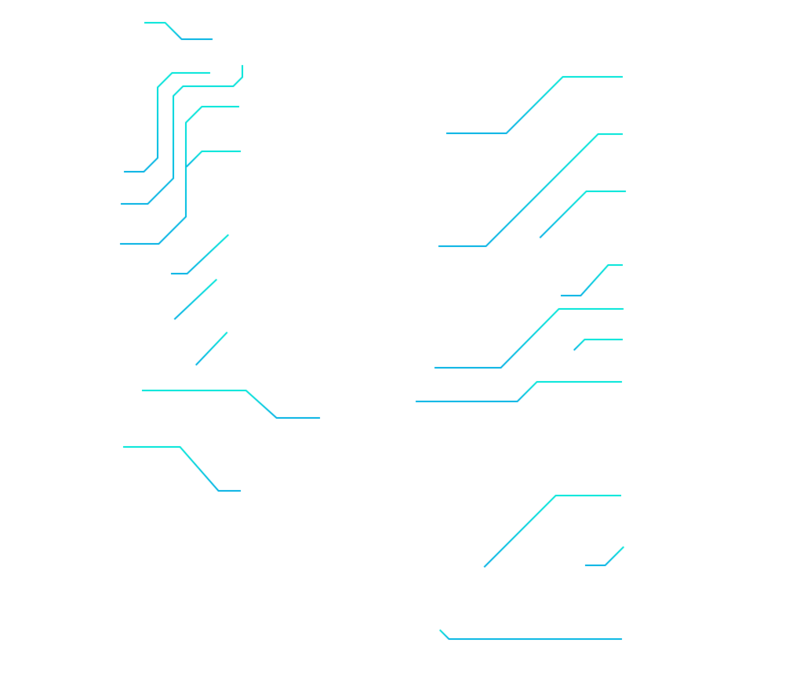 **RGB and Addressable RGB LED Extension cables are included. LED Strips and Aura Compatible devices are sold separately. 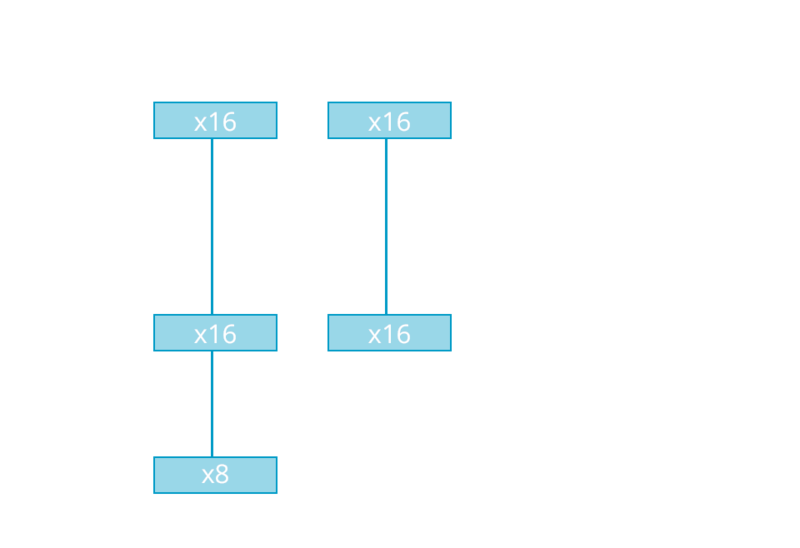 Intel® Core™ X-series processors for LGA 2066 socketIntel Core X-series processors (6-core and above): 4-channel (8-DIMM), 44/28 PCI Express 3.0/2.0 lanes. 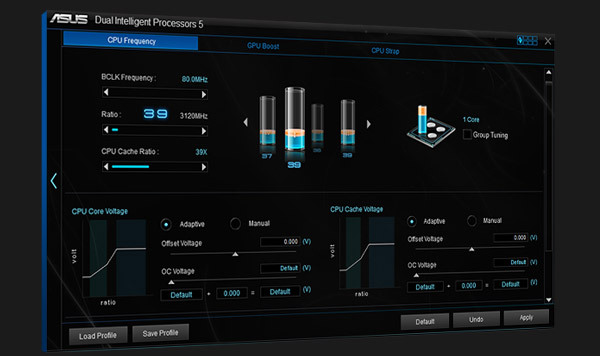 Intel X299 chipsetThe Intel X299 chipset supports LGA 2066-socket Intel Core X-series processors. It provides improved performance by utilizing serial point-to-point links, allowing increased bandwidth and stability. 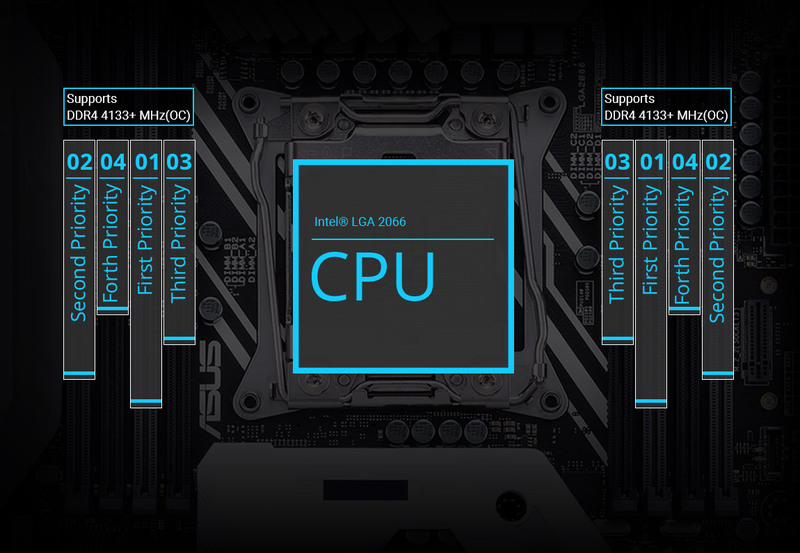 Additionally, X299 provides a maximum 10 USB 3.1 Gen 1 ports, 8 SATA 6Gbps ports and 32Gbps M.2 support for faster data retrieval.